OH GOOD, ANOTHER RETRO VIDEOGAME BLOG. I’m TJ, and I’ve been a videogamer since 1980 when I was six years old. I grew up during the golden age of arcades and Atari, through the NES, the 16-bit era, and beyond. 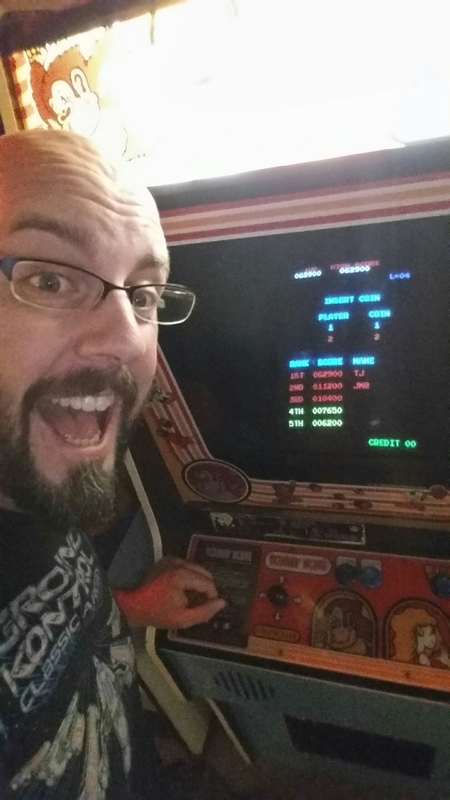 I’ve never worked in the industry or been a professional games journalist, but I’ve done just about everything on the fan side of videogames there is to do: I’ve played them, collected them, bought and sold them, collected and restored arcade games, and sold those too. I’ve had letters and high scores published in videogame magazines, been to E3, go to Midwest Gaming Classic every year, traveled around the country to visit famous arcades, and in 1996 I started a website called the Metroid Database, which is still running (although not by me). So why do we need another videogame blog? We don’t, I guess. But I can share my collection, my thoughts, and all those experiences, and maybe you’ll like ’em. I’m not going to get super in-depth about anything; I’ll keep most posts bite-sized. I might touch on newer or modern games, but only if there’s a connection to the classics. Thanks for coming along! Retro Game SuperHyper is GO! !